The key to understanding God's great salvation is realising that God deals with the whole human race on the basis of two men—Adam and Christ. 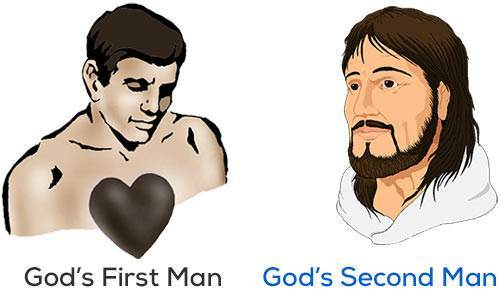 Adam is God's "first man" and Christ is God's "second Man." In our last lesson we traced the history of God's first man, Adam. We saw that sin and death came into the world through Adam's sin. 1. His eternity—"In the beginning was the Word." 2. His fellowship in the Godhead—"and the Word was with God." 3. His deity—"and the Word was God." 4. 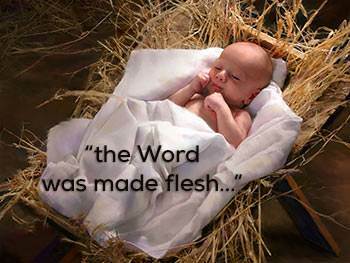 His coming into the world as a man—"and the Word was made flesh and dwelt among us." Mary could not understand how this could be. She was a virgin. She said to the angel, "How can this be, seeing I know not a man?" 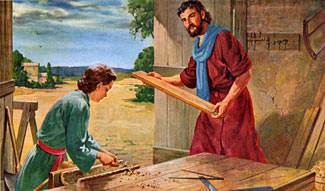 Mary was saying she had never had sexual relations with any man. At that moment in time when the Son of God was born into the human race, the command went forth in heaven, "Let all the angels of God worship Him." 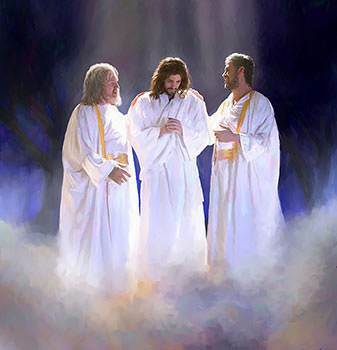 (Hebrews 1:6) All of the angelic hosts worshipped Jesus Christ at His birth. "Glory to God in the highest, and on earth peace, good will toward men…"
The Saviour who had just been born would bring "glory to God in the highest" because He would perfectly represent God and reveal Him in all of His love and grace. 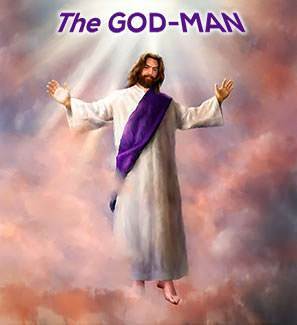 The Lord Jesus is often called "the God-man." This is a very good name for Him because He is truly God and He is truly man. He is not half God and half man. He is fully God and fully man. The virgin birth of Jesus perfectly expresses how the Son of God came to the earth as both God and man. He was "the Son of God" because God was His Father. He was "the Son of Man" because Mary was His mother. 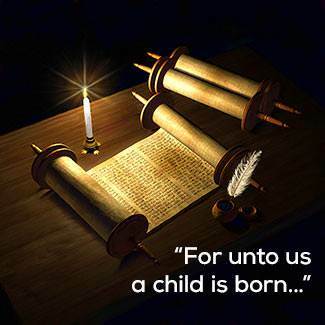 Guided by the Holy Spirit, Isaiah expressed it perfectly when he wrote, "Unto us a child is born, unto us a son is given." A "child born" speaks of Christ's humanity. A "son given" speaks of his deity. Like us, Jesus had a spirit, soul and body. He was, however, different from us in that we are all born with a sinful nature, but He did not have a sinful nature. He was and is the sinless Son of God. After the birth of Jesus, Joseph and Mary entered into the normal relationship of marriage and had other children. Jesus had four brothers and at least two sisters (Mark 6:3). Now let us look at some Scriptures which show Jesus as the One in whom God found His perfect delight. 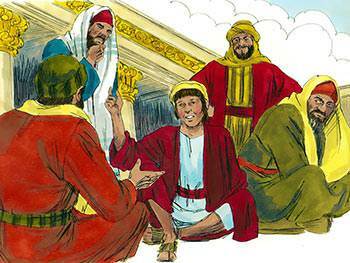 Even as a child, Jesus was concerned with pleasing His heavenly Father. 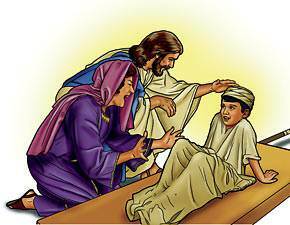 When He was twelve years old, His parents took Him with them when they went to Jerusalem for the Passover. When the feast was over, His parents left, assuming that Jesus was in their company. When they had gone a day's journey, they discovered that He was not with them. They returned to Jerusalem seeking Him. Jesus had come into a world of which it was said, "There is none that seeks after God, no, not one." But as a 12-year-old child, His one concern was His Father's business. There was absolute devotion to God and His will in that holy Child. Here was One whom God could look upon with perfect delight. God found perfect delight in Jesus Christ His beloved Son. What was Satan's purpose in tempting Jesus? His purpose was to get Jesus to disobey God. 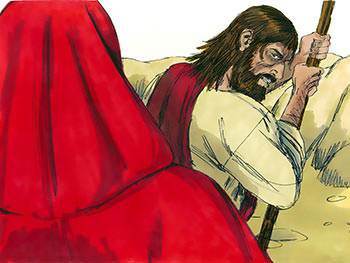 Three times Satan tempted Jesus to act in self will. Three times Jesus refused to do so, quoting the Word of God to Satan. Satan was defeated. 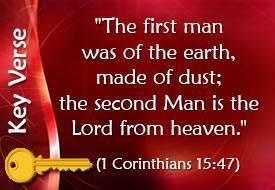 The first man was conquered by Satan because he acted in self-will and disobeyed God. 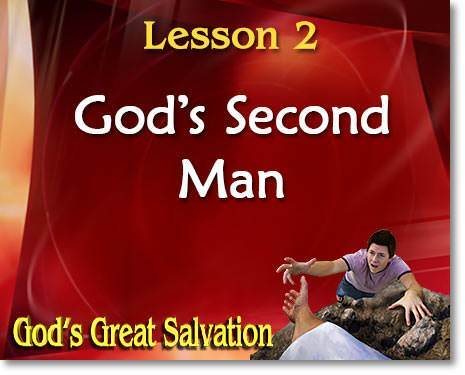 The second Man was triumphant over Satan because he obeyed God perfectly. Jesus said that He was the Son of God. He showed that He was the Son of God by His mighty works. 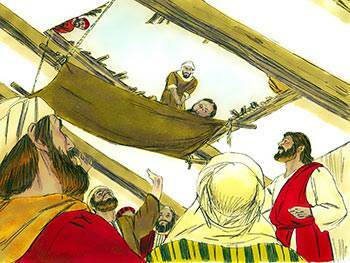 In Matthew, chapter 8, we read that Jesus was in a ship with His disciples. 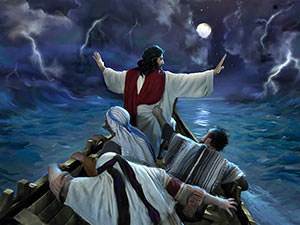 Jesus fell asleep and, as He slept, a great storm arose. The disciples were afraid that the ship would sink. They woke Jesus up saying, "Lord, save us!" "What a word this is! For with authority and power He commands the unclean spirits, and they come out." 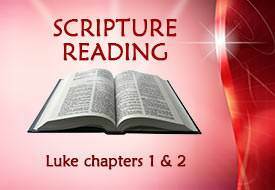 (Luke 4:36). Jesus had power over death itself. He raised three people from the dead. On one occasion, a funeral procession passed by Jesus. All the people were crying. The only son of a widow had died and they were going to bury him. This poor woman had no husband and her only son had just died. She was weeping bitterly. Jesus had pity on her and told her not to cry. Then He spoke to her son who was dead and said, "Young man, I say to you, Arise!" Jesus not only had power to heal people and to raise people from the dead, but He could do something far more important. He had power to forgive their sins. 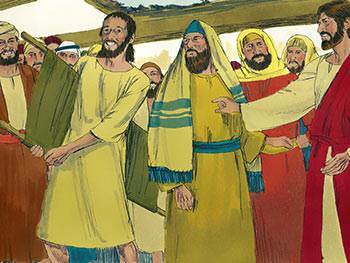 One day four men brought a friend of theirs to Jesus. This man was sick with the palsy, and he could not walk. His friends brought him to Jesus, believing that Jesus could heal him. There were so many people around Jesus that they could not get near Him. They climbed up on the house, cut away part of the roof, and lowered the sick man down where Jesus was. Jesus knew that this man needed to be healed, but he had an even greater need. He needed to be forgiven of his sins. Jesus said to him, "Your sins are forgiven." The religious leaders who were present strongly disapproved of this. They were thinking to themselves, "How can this man forgive sins? Only God can do this!" They were right in thinking that only God can forgive sins. But they were wrong in thinking that Jesus was just an ordinary man. "Scripture gives us the history of two men— Adam and Christ. Adam will not do for God; only Christ will. This is true. 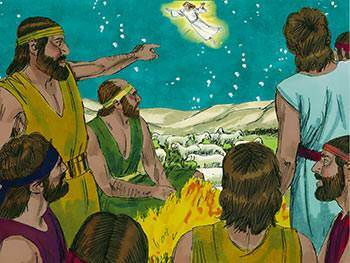 Adam and his sinful family will not do for God. They have brought no pleasure to God's heart. On the other hand, God is perfectly pleased and delighted with his Second Man! God told Abraham, "In your Seed [Christ] shall all the nations of the earth be blessed." 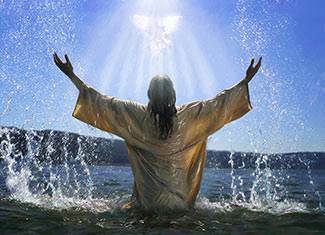 (Genesis 22:18) God will bless all nations through Jesus Christ. * God's Second Man, the Lord Jesus Christ, is the One in whom God finds perfect delight. There are three great facts about Jesus Christ that we should always remember. The Bible leaves no doubt whatsoever on this subject—Jesus is God! In Hebrews 1:8, God the Father is speaking to His Son, Jesus Christ, "But unto the Son He says, Your throne, O God, is for ever and ever." God's Word takes great care to guard the truth of the Person of the Lord Jesus—who He is. The Scripture is most careful to maintain His glory, the glory of His Person. He was, and is, and always will be God. God's Son became a man. Think of it! The great Creator came into the human race as a tiny baby. The One who created man became a man Himself, that He might be our Redeemer. Can you conceive of anything more wonderful than this? God's Son, Jesus Christ, will remain the God-Man throughout eternity. Many people think that the incarnation refers merely to Christ's taking a human body while He was here on earth, but this is a mistake. Having become a man, Christ will remain the God-Man throughout eternity. The incarnation does not merely refer to what He was when He came into the world, but it equally refers to what He is now. Jesus Christ, the Son of God, lived here as a man, He died as a man, He was buried as a man, and He rose from the dead as a man. 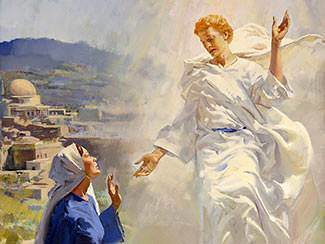 He went back to heaven as a glorious resurrected Man. He is seated today at the right hand of the Father—a glorified Man with all authority in heaven and earth. 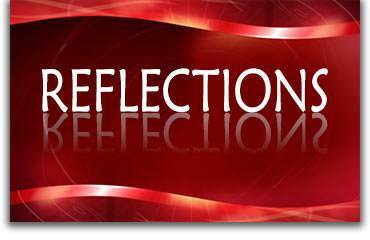 Speaking of Christ as He is today, the Bible says, "In Him dwells all the fullness of the Godhead bodily." (Colossians 2:9) This means Christ has a resurrection body.